Its 4:40am. Someone’s tapping gently on the door to our room in Oia. No one should be awake at this time . . . No one but us, that is. It’s the bellboy at the door, The concierge had sent him down to hurry us along. He was going to get our bags and let us know that our airport transfer shuttle was waiting for us at reception. I don’t know who in their sane mind on holidays in Santorini would choose to fly at this time – 7:10am. But Agean Airlines, after multiple changes, put us on this flight pretty much without giving us a choice. Correction, they did give us an choice. On the notification, it says “In case this schedule does not meet your needs click on the DECLINE button.” which I of course did naturally. A few days later, I get an email from them saying that there are no available seats on that day and if we wished, she can put us on the waiting list! So, in other words, we didn’t have a choice. 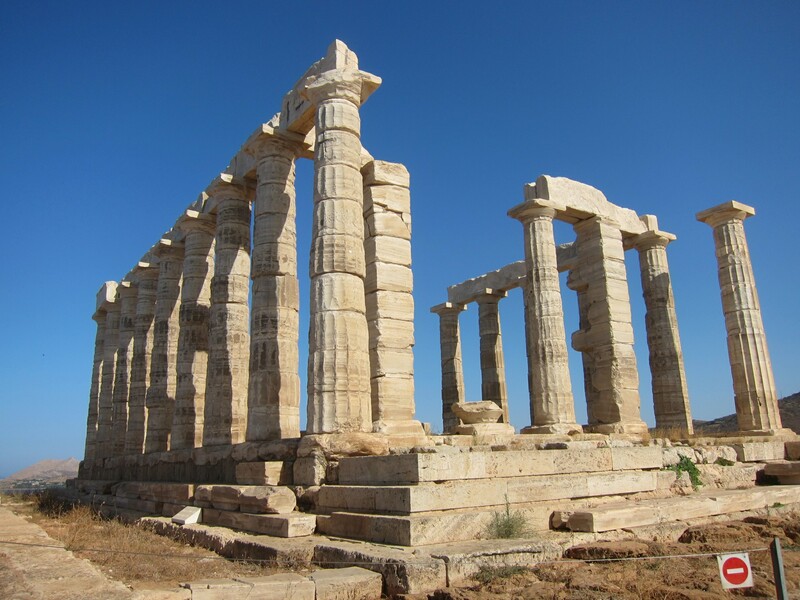 Standing on an elevated hill, surrounded on three sides by the sea, the remains of this once famous temple are 18 Doric columns of white marble. Angelo shows us some artists rendition of what it would have looked like in its day. 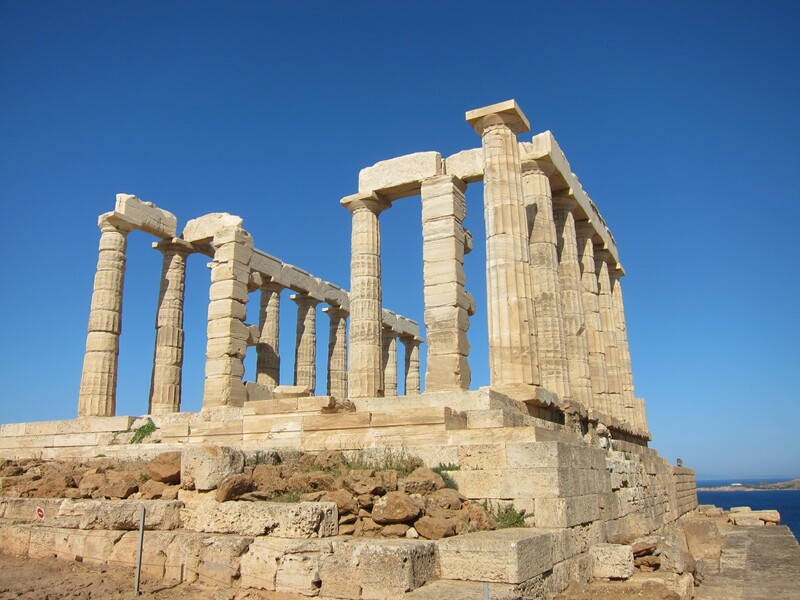 I close my eyes and easily imagine Poseidon’s temple, framed against the dazzling blue sea. It is likely the last building sailors sea before they leave the idyllic Saronic Gulf. Much has happened since then not to mention grafitti! Here, Angelo was quick to point out a certain famous person’s handiwork. 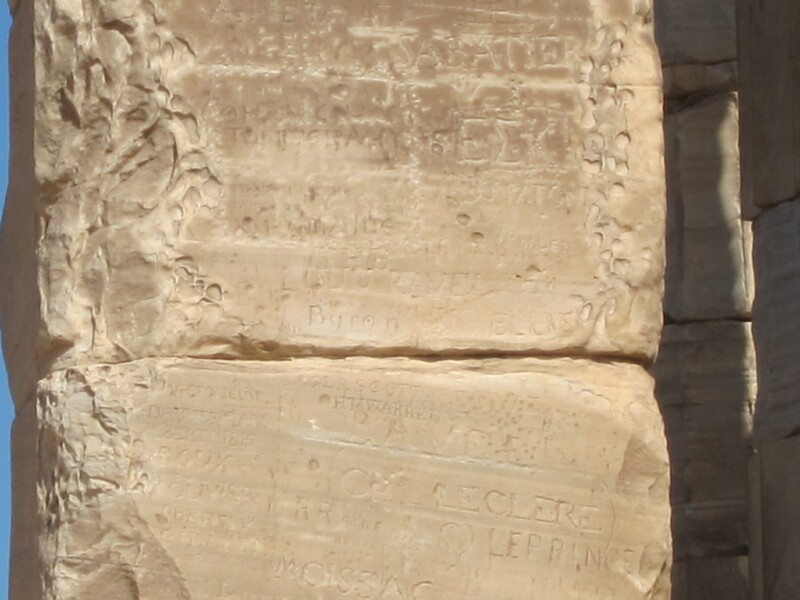 On one of the columns, carved into its face is the name “Byron”. Allegedly, the famous poet, Lord Byron couldn’t resist scribing his name onto one of the pillars (though understandably he is not the only one). We would be aghast if something like that happened today. But even with the temple now fenced off with a rope, it must be hard to protect such sites from overly enthusiastic tourists. Even whilst we were there, we noticed a woman discreetly picking up a tiny piece of marble and popping it into her pocket as a souvenir! This just makes me wonder what makes a person do that. Seriously! 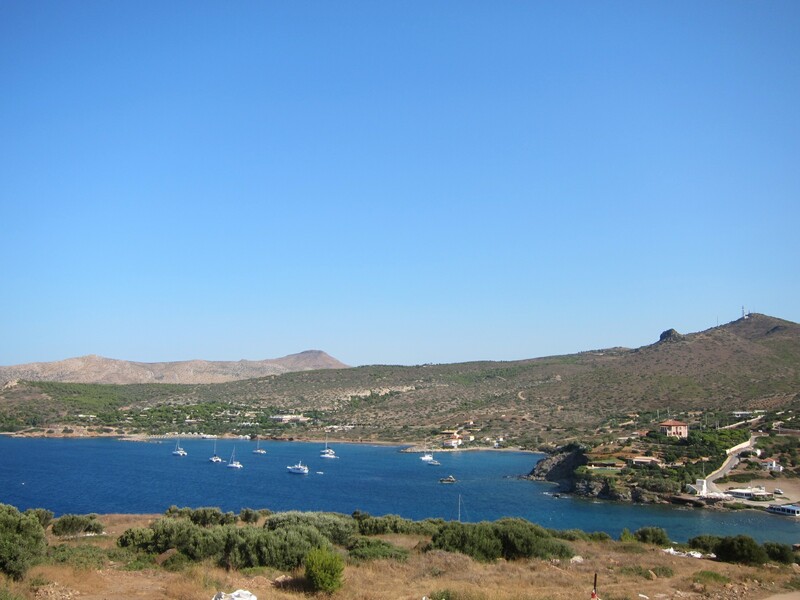 Leaving Sounion, Angelo then took us along the charming coastal route back to Athens, passing by many towns, some of which wealthier Athenians have chosen to make their summer homes in. It was also a great opportunity to catch up on some more sleep. . . . .